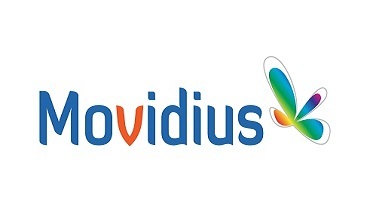 Movidius – the world leader in embedded machine vision technology together with leading provider of video-based IoT (Internet of Things) solutions and data operation services Hikvision have announced that Movidius’ Myriad 2 Vision Processing Unit (VPU) technology will be powering a new lineup of smart cameras. Among other things, Myriad 2 will be utilized for running cutting-edge Deep Neural Networks in order to perform much higher accuracy video analytics locally. Deep Neural Networks are rapidly replacing traditional computer vision approaches to video analytics, allowing security systems to automatically detect anomalies such as suspicious packages, drivers distracted by mobile devices, and intruders trying to access secure locations. Running Deep Neural Networks has historically required devices to depend on additional compute in the cloud, but thanks to the ultra-low power Myriad 2 Vision Processing Unit (VPU), these advanced algorithms can now be run at the edge, inside cameras themselves. Thanks to Deep Neural Networks and stereo 3D sensing, Hikvision has been able to achieve up to 99% accuracy in their advanced visual analytics applications. Some of these applications include: car model classification, intruder detection, suspicious baggage alert, and seatbelt detection. The Myriad 2 platform allows these functions to now be processed instantaneously onboard the camera, rather than beingsent to the cloud for processing. The first products to use Myriad 2 will be shown at the 13th China International Exhibit for Public Safety, taking place October 25th through 28th.